A business sign is an important aspect when starting a business. Outdoor signs for businesses are created and used for marketing purposes, and to invite visitors and potential customers. They are commonly found on rooftops and walls, standing alone by buildings as banners, or displayed on the sides of cars and trucks. Your business signs serve as your silent salesperson. Another type of business signs is indoor signs. These are usually hung from ceilings or attached to inside walls. They are usually used in reception areas or to direct customers and visitors inside the establishment. 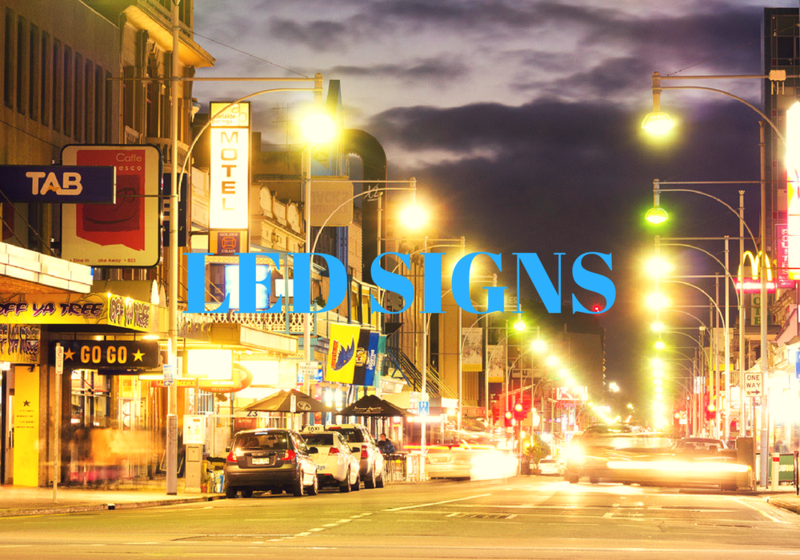 Digital signs using Light Emitting Diodes (LEDs) are now a major force in the signage market. LED signs can be used as channel letters, message reader board, and large-format video screen displays. Why use LED lights for your business signs? The rise in the use of LED lights for business signs is not without reason. Read below about everything you need to know about LED lighting. LED lights have a longer life. Replacing business signs is costly and a hassle. You would not want your business sign to suddenly just burn out on you. You would not want to always hire people to fix. Worse, you don’t want to put up a new lighted business sign. Compared to fluorescent lights, LEDs have longer lifespans. They have a general life expectancy of up to 50,000 hours. Fluorescent lights have a lifespan of 7,000 to 15,000 hours. LEDs do not have gasses to leak, unlike neon lights. As such, they maintain a level of brightness throughout their lifetime. LED lights are energy efficient. LED lights have low energy consumption. Typical indicator LEDs operate with no more than 30-60mW. They also have high luminous efficacy, which refers to how well a light source produces visible light. It is the ratio of luminous power or luminous flux to power consumption. LED lights have higher lumens per watt over incandescent lights. Being energy efficient means having to pay lower electricity cost for your business. LED lights need lower maintenance. LEDs do not contain any gasses or glass tubes that may leak or break, so they require less maintenance. This makes LED durable, and much easier to transport, install, and operate. Having longer lifespans also means lesser service and maintenance frequency. LED lights do not turn hot, so they are easier to clean and are not so fragile. There are also waterproof LED lights, which are especially useful for outdoor signs in wet and humid areas. Few maintenance demands equate to lower maintenance costs, which is good for business. LED lights emit lower heat. LED lights do not generate heat in the form of infrared radiation, unlike incandescent lights. It is this infrared radiation that makes these other light sources hot to the touch. This makes LEDs perfect for indoor signs, as they do not add to the heat load of the business establishment. The additional heat produced by other light sources can make your customers and visitors uncomfortable. This will make your ventilation and AC system work more to dispel the additional heat. The brightness and sharpness of the colours of LEDs make them perfect for your outdoor business signage. LED lights make your business signs easy to read and attractive. They can also be seen during the daytime, so no matter what time of the day, you are sure passers-by can see your business sign. 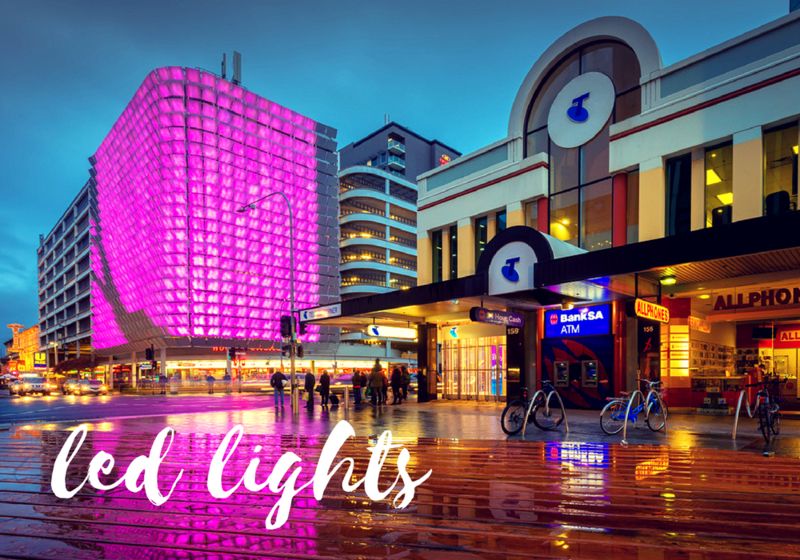 LEDs can be used for animation, colour changes, flashing lights, fading features, and moving messages, making them quite versatile to adapt to your business sign needs. Aside from being energy efficient, LEDs do not contain harmful gasses such as mercury and argon. These make LEDs easier to dispose and recycle. Having longer lifespans also mean that you will be throwing less burnt-out bulbs. For LED lightings in your business or offices, call a professional who can help you with your LED lighting needs. Not all LEDs are created equal. Global Home Solutions offers LED lighting solutions in Hunter Valley and Newcastle areas. Get only high quality LED lights for your business, to ensure quality, dependable, and optimum performance.